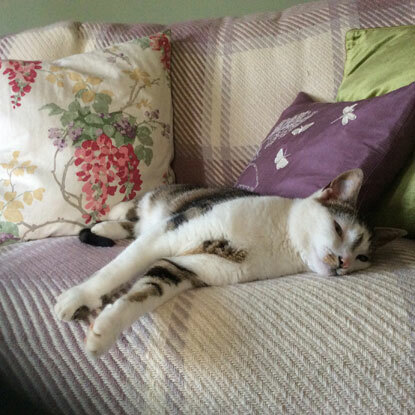 In autumn 2015 a sorry little tabby-and-white-cat was handed into our local vets by a concerned cat lover. 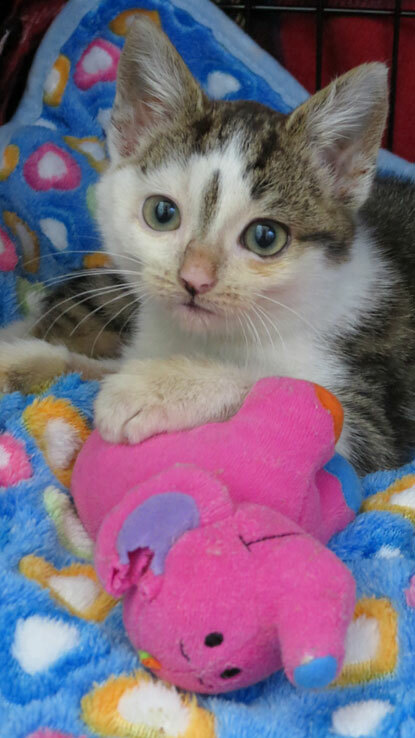 It was a young, neglected male kitten who had been found in a gutter in Shepton Mallet with his leg trapped in a drain. The nurses cleaned him up, fed him and gave him the TLC they are so good at then phoned Cats Protection for help, which of course we were keen to give. The little chap was named Peanut because the nurses found traces of peanuts in his poo in the litter tray. Clearly he was so hungry he had been scavenging for food under bird tables. An X-ray revealed that Peanut had a badly fractured back leg. The vet in charge of his case was keen to repair the leg rather than opt for an amputation. After all Peanut hopefully had a long life ahead of him so losing a leg so early in life wasn't ideal. It was a fiddly and challenging operation. There wasn't a pin made small enough to use on such young and fragile bones so the vet had to improvise. Peanut was lucky that one of the veterinary nurses volunteered to nurse him through what was going to be a long and initially painful recovery period. During the first week she made sure that he had his four-hourly dose of painkillers day and night and with such a dedicated person on his side he gradually became more comfortable and mobile. In December we were able to move him to one of our foster pens for rehoming and are happy to report that soon after Christmas he found his forever home in the country. Six months on Peanut is a happy, healthy cat living life to the full, although he still doesn't like having his back leg touched but this is to be expected after all he went through. 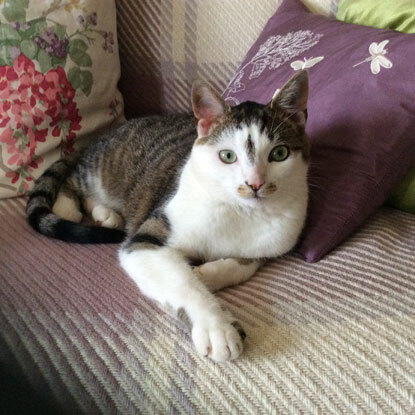 The above pictures show Peanut now, a normal active cat who gets out and about and enjoys his life.